Yes, if you want to specify medical treatment & end-of-life care. 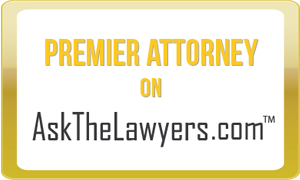 If you suffered a critical injury in an accident and could not speak, what kind of medical treatment would you want? Every competent American adult has the right to make personal decisions about health care. However, if you become incapacitated and cannot communicate your wishes, you might lose that right. Maryland and Washington DC estate planning attorney Michelle Lanchester can help you plan for the worst-case scenario. Advance directives are a key part of an estate plan that state your beliefs regarding your medical treatment and end-of-life care wishes before you become too ill to do so. An advance directive is a document that “speaks for you” when you are too sick or injured to speak for yourself. This document contains your instructions and desires regarding your future medical treatment in the event that you become incapacitated. It also provides your directives so that your next of kin, loved ones, physicians and friends will respect and understand your personal and religious beliefs regarding medical treatment. An advance directive attorney will ask you the hard questions so that your wishes are carried out. A power of attorney for health care allows you to appoint a trusted individual to make critical health care decisions for you. This power goes into effect only when you are not able to make decisions for yourself. You can give specific instructions regarding your health care, which includes designating a specific physician to have primary responsibility, choosing medical procedures and deciding who you want to visit you in the hospital. A living will is a document that contains your instructions regarding what kind of life-sustaining health care you want to receive. A living will works with your power of attorney to make it clear what specific courses of treatment you do or do not want performed for life sustaining procedures such as blood transfusions, dialysis, breathing machines, life sustaining ventilators, tube feeding, artificial nutrition and resuscitation. A HIPPA authorization allows the person you have designated as your agent in your power of attorney for health care to have access to your medical information. You must have a HIPAA authorization in order to allow your health care power of attorney to act, making it a necessary part of your estate plan. HIPAA strictly limits the disclosure of your medical information by virtually every physician, dentist, psychiatrist, nurse, or other health care provider. Without giving HIPAA authorization to your agent, next of kin or loved one, she cannot access the medical information she needs to make decisions on your behalf. Do not leave anything to chance. Take charge of your life and contact attorney Michelle Lanchester today at her offices in Washington DC and Largo, Maryland. The estate planning process goes beyond wills, trusts and financial concerns. Maryland and Washington DC estate planning attorney Michelle Lanchester will answer your questions and help you create advance directives that give you some control over your future at a time when you need it most.